Lemon balm (Melissa officinalis) abounds in my garden! It is one of the most easy to grow medicinal herbs and has some pretty amazing healing properties…making it a great addition to the home pharmacy. act as an antiviral in treating cold sores due to the herpes virus. heal wounds and protect the skin. treat the symptoms of the common cold and flu when combined with other medicinal herbs. relieve the symptoms of migraine headaches, anxiety, depression, and insomnia. Likewise, feverfew is unbeatable when it comes to treating the common headache, migraines, stress/tension headaches, and those headaches associated with PMS symptoms. It truly is a wonder herb and a must in the garden of those who suffer these ailments. 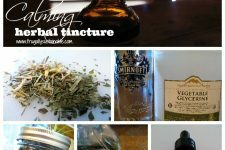 Note: Please see my How to Make a Tincture at Home video for more helpful information regarding making a tincture. 1. 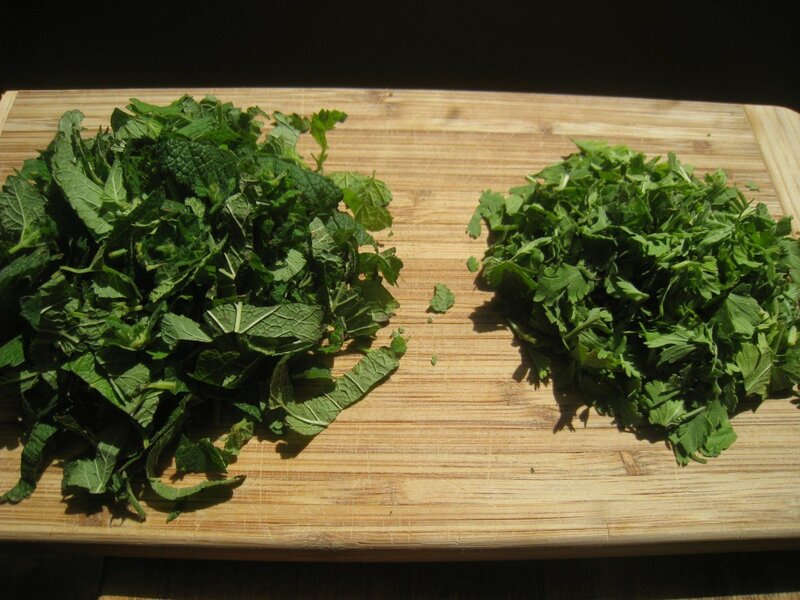 Measure your herbs depending on whether you are using fresh or dried herbs. 2. If using fresh herbs, chop until fine. 3. Add herbs to glass jar. 4. 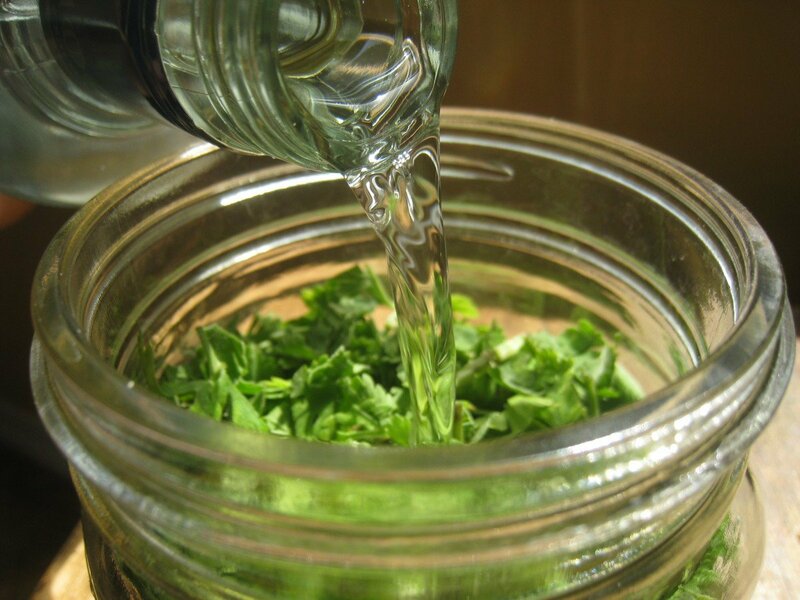 Pour solvent over herbs to fill the jar. The solvent should rise 1-2 inches above the herbs. 5. Place the lid on the jar and shake until the herbs are well combined. 6. Label jar with contents and date. 7. Set in a warm, sunny window and steep for 2-6 weeks, shaking daily. 8. Strain with a cheesecloth, compost the plant material, and place tincture in dark colored bottles for storage in a cool, dark place. The tincture should keep for up to 5 years. At the sudden onset of migraine symptoms, begin taking 1/4-1/2 a teaspoon of the tincture every 30 minutes to an hour until symptoms subside. Looking for the raw materials mentioned in this post? Check out the good people over at Mountain Rose Herbs and Bulk Herb Store…they are the go-to for all my dried herb and medicinal herb seed needs! Be sure not to miss a single post in the series…click this link and subscribe to the blog. Disclaimer: Please understand that this information is for educational purposes only. The statements made here have not been approved by the Food and Drug Administration and they are not intended to diagnose, treat or cure or prevent any disease. Don’t take my word for it…you should always engage conventional wisdom and consult with your medical professional to determine potential drug interactions and safety of use. I’m sorry if you have mentioned it but do we measure by weight or by volume? Also when using a glycerin tincture because its not as strong should the dose be higher? Thanks! Ashley, though I am not Andrea, I can answer this for you. She is measuring in parts, so what ever you choose to use as your “part” be it 1 cup, 1/2 cup, a tablespoon, or a hand full, just repeat it for each ingredient. This sounds really good, and will be very useful at my house. Thanks for this recipe! I wished I had some right now as I have one of those headaches! Blessings from Bama! Oh, I have been looking for one of these! I don’t get migraines as often since changing my food, but occasionally I still get a flare up! Will have to get some supplies and make up a batch, Thanks! Oh my! That is something we SO need in this house!! DH & I both suffer from severe headaches & migraines. And my second son is starting to have a lot of headaches (they run in my side of the family). If a person wanted to use something other than alcohol as the solvent what would be the next best thing? Hey Rhonda, I asked the same question on yesterdays general post on how to make a tincture. Andrea has a PDF link that talks about a glycerin or an apple cider vinegar solvent instead of the alcohol. Check it out! Try the BHO Method maybe? This uses butane to desolve the important parts of plant matter and then they drain as pure extract and butane, The butane then boils off leaving only the extract. Headaches run in my family too, so I’m definately planning on making some of this! For some herbs alcohol is going to be the best choice. Different plant chemicals respond differently. But that should not make you afraid to use them. A dose is tiny- there is more alcohol in a ripe banana than a tincture dose. Glycerin can be used, however the tincture will not be as strong. The small amount of alcohol you would get in a tincture will never be harmful. The only reason I would do glycerin is because of the worry with alcoholism or for children (definitely tastes better!) Glycerin cannot be used with woody herbs as it is not strong enough to draw out the medicinal qualities of the herb. I would really love to try this! What concerns me is the taste…when I have a migraine I’m extremely nauseated and I’ve been told feverfew isn’t very tasty. How would you describe the taste, and do you have any suggestions if I find it difficult to take (honey, mint, etc)? I’m sorry to tell you that feverfew tastes AWFUL. Very strong and bitter. I take it in juice and then chase it with more juice. But if you sweetened that even further with honey it might be more palatable. I’m not usually nauseous so I just grin and bear it. If you do the juice though a little tip…put it in a tiny bit of juice, just enough to get it down and chase with more juice (as much as you want.) Otherwise you get a lot more nasty tasting juice to try to get down. Hope that helps. I’ve done feverfew tea combined with mint (also supposed to help with migraines) and with a little honey found the taste quite palatable. It isn’t something you’d want to drink to relax but that’s good since it’s medicine. Not sure about lemon balm but I’m guessing it might mask the flavor of the feverfew! I too make the tea for my migraines. The lemon balm adds a nice taste to the mint and feverfew. I use different types of mint depending on which one smells best to me at the time. My faves to compliment the feverfew and lemon balm seem to be spearmint, sweet mint, and most of the citrus mints least faves are chocolate and grapefruit. I use only local raw honey to sweeten the tea. I find steeped white willow bark tea (apirin’s active compound originates from) works well for headaches and migraines. Has a woody taste, but you could try adding peppermint, chamomile, kava, lavender, and/or honey to help mask the taste a bit. Might be worth try? Do you know if a person is allergic to asprin if they can take willow bark? If you put some Peppermint oil between your toes, it will ease your nausea and could possibly get rid of it altogether. I have such bad luck with lemon balm, so I’ll order one online. I have horrible migraines, so quite timely. I have really terrible migraines, sometimes with nausea. I use the prescription med Zomig and it usually will stop the migraine if I take it fast enough. The chewable/dissolvable form works the best. Maxalt is good too. Topamax is prescribed as a migraine preventive. After I started taking it for a completely different medical problem I noticed that, over time I have fewer migraines and the worst category I had – paralyzing migraines I would awaken with that were so awful I could not open my eyes, speak, move my head or my body and which could last all day stopped happening!!! Bless Topamax!!! If you are suffering and have not tried Zomig or Maxalt chewables you could be missing out on blessed relief! Good luck everyone! I am a chronic migrainer. All the tripan med do not work. Would lke to try this and i am also experimenting with oils that are helping. Thankfully BOTOX has reduced my migraines in half. Topomax does work great as a preventaive for migraines. However after taking 50 mg a day for 3 weeks, I stared having severe asthma symptoms. I was prescribed all tje proper asthma meds with still no relief. The attacks were so frequent they would go all day it seemed. Finally after 3 weeks of suffering I checked the side effects of topomax,and there in the “rare” side effevts was breathing problems. My dr had me stop taking it just to see if it helped. Two days later the asthma sympoms were gone. Hello migraines again until I find a mew miracle. But at least I an breath! For those of u who can take topomax it does work. Ah, fevered, that’s a good idea. I have lemon balm, chamomile, and valerian in my headache tincture. I’ve read that valerian was once a common treatment for headaches like tylenol is now. It usually works for me, and I know two others who use it in combo with tylenol for migraines. Fever few that is, gotta love spell check. I’ve also used skullcap successfully. Just curious. I’ve read a few other sites tincture recipes, and most of them state to store the herb/alcohol mix in a cool, dry area. Any reason why this tincture states differently? I know it’s the alcohol pulling the out the herbal “goodies” so I didn’t know if it made a difference in this and other recipes where the jar is stored. Malia, read step 8 again. It goes into the window during the drawing out process, but once it is strained and labeled, it goes into a dark jar and is stored in a cool, dark place. Think I’ll try it! Does anyone know – does it have to be 100 proof? I have 80 proof on hand. I am wondering the same thing.. Does it have to be 100 proof? No 80 proof can work just as well. You can also use brandy instead of vodka. Speaking as a herbalist, the most extraction will occur from alcohol. You can use apple cider vinegar or vegetable glycerin, if you want non-alcohol forms, however the potency will far less. Can a person with cancer do this? 80 proof vodka will work. but the higher the proof the better you can pull the compounds out of the plants and the better the tincture. I use 150 proof grain alcohol and it is way better, so is the taste. hope this helps you people out! A work friend and I want to try this remedy as we both suffer from migraines. Learning what our triggers are has been helpful in trying to avoid a migraine. I was not able to find either of those herbs fresh or dried. (limited local resources) I did find both herbs in liquid herbal extract form. Any idea how much of each should taken? The lemon balm states 333 mg/ml. The Feverfew does not list a concentration value. Each of them does however have recommended dosages of 30 – 40 drops in a bit of water two to four times a day between meals. If we were to use the 3:2 ratio of the fresh/dried herbs would that be too much? Warning: feverfew is related to ragweed and should not be used by people with ragweed allergies or any other member of the daisy family. Thank you for the feverfew-ragweed warning. I am allergic to ragweed and have migraines. I’d rather not trade a migraine for an asthma attack! Thank you for the warning. I am highly allergic to ragweed! Of course it’s going to get rid of a migraine, it’s got Vodka in it! Thank you for this recipient. I suffer from migraines; I had them under control once when my hormones were balanced, now I’m bd again. I do use Botox treatment, it helps but I still suffer. I did use a treatment years ago. It was Bancha tea, with a little tamari in the cup with one umaboshi plum in it too. The pit can be sucked on for naseau. Just another thing to try. I need all the help I can get. Feverfew is an herb that does well in a pot or in the ground. It was considered a “must have” by colonial pioneers. I you have lemon balm, you can grow feverfew. Let me just warn you, if you begin growing feverfew it is a very aggressive plant…best to put it in a container. It’s tiny seeds blow everywhere, and even here in Montana they survive the winters. And it’s also a lovely plant with a delicate flower! don’t forget to sterilize your equipment!! ummm… question… do you have to used vodka… cuz.. vodka gives me migraines! no, you don’t. If you look in Andrea’s notes she mentions using vegtable gylcerin if you want. I’ve used apple cider vinegar. I’d like to make this for a friend, she is pregnant and often gets migraines. I guess this would be safe for someone who is pregnant? wikipedia says do NOT take feverfew if you are pregnant. @ Nancy, it’s not a good idea to assume that any remedy herbal or not will be safe for a pregnant woman. Due to the MANY changes a women’s body goes through during pregnancy any remedy should be questioned to a medical professional before use. Even on remedy’s she usually uses. Having said that, I can’t find Feverfew any where in plant form here in Oregon. I have only seen them online. Does anyone have a good website they trust? http://www.azurestandard.com should have them. It’s a free co-op based out of Dufur, Oregon. You have to sign up to join and see the prices. 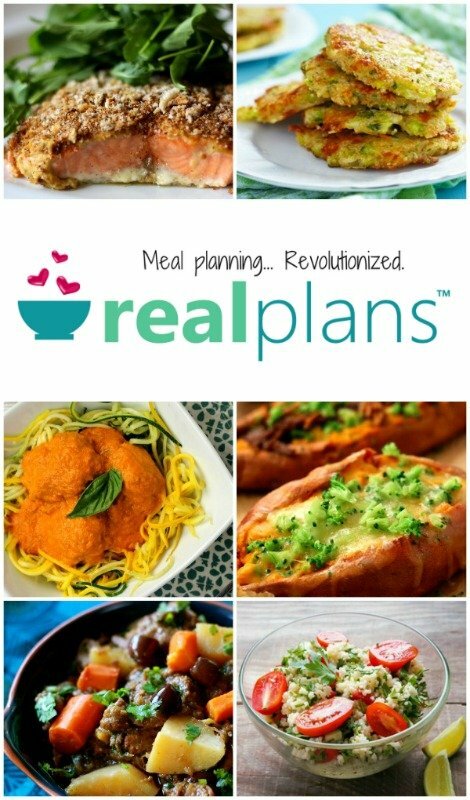 It is an amazing co-op, I’ve been ordering from it for many years. Moutain Rose Herbs, an Oregon company, has organic dried feverfew you can purchase or seeds to grow your own. They are a great resource for organic and natural products! Oh, thanks for sharing Andrea! 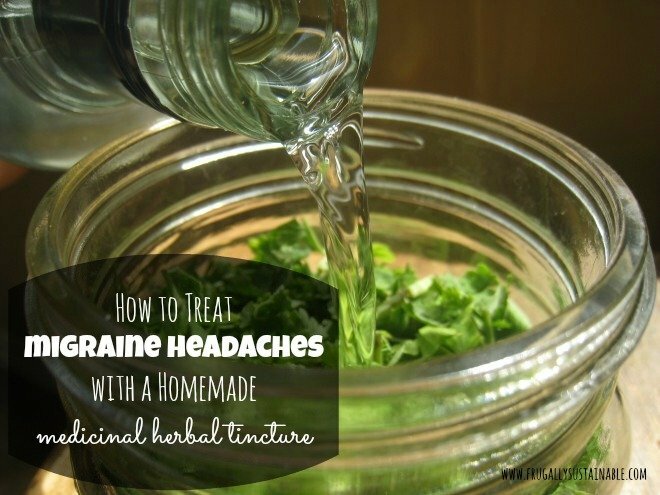 I use lemon balm in my headache tincture but I have never added feverfew. Sounds good! My mom has a plant she called “heal all” growing in her yard. After looking it up it is good for many ailments. Can I use the same tincture recipe to make a “heal all” tincture? She has given me alot of it and now it is dried, what can I do with that? I made the tincture and have tried it twice. It doesn’t make my migraines go away, but I have been a severe migraine sufferer for 20 years and have only ever found one thing to work. It did, however, make me really sleepy. I’ve decided to try maybe using it as a preventative, so for the past week I’ve been taking the tincture in water at night. I’ve slept really good those nights, if nothing else! What was the one thing that worked? Nice to see a headache treatment recipe that DOESN’T include mint. I get debilitating headaches. I’m also allergic to mint. Ironically mint gives me migraines. Go figure. Even though lemon balm is related to mint I have no negative reaction to it. Since butterbur is good for migraines also what do you think about adding some butterbur root to this receipe? I can’t take alcohol. does the vegetable glycerin have alcohol? What is vegetable glycerin? I have a migraine right now, so I’m having trouble formulating questions and possibly understanding this article.. In foods and beverages, glycerol serves as a humectant, solvent, and sweetener, and may help preserve foods. I am currently suffering through chronic daily migraines. I am not an herbal person but would like to try this. Will you have any more for sale in the near future? I would definitely like to purchase. Thank you! Have you been tested for gluten intolerance/allergy? I used to have chronic migraines, so did my mom, until we discovered our gluten sensitivity. I also suffered from “brain fog”, but no more since eliminating gluten, starchy carbs and sugar from my diet. It’s a lot to learn at first, but feeling great and the benefits that come from being gluten free far outweigh the occasional craving! Plus there are so many more gluten free products on the market today than when I was diagnosed years ago. You must do a stool & saliva test however, and blood draws and skin patch tests often reveal wrong or inconclusive results! My favorite lab for the gluten test is Diagnos-Techs in Washington state. Get tested, get well, and be blessed! I found that lemon thyme works better as a tea for migraines. all ya have to do is drie some for during winter, then when on slot of migraine hits just put in a tea ball and pour hot water over it. let seep till you think its done enough. I like to leave it till the water is warm, that way you get all the benifits of the lemon thyme. Also use honey to sweeten the tea. I mix my feverfew tincture with Sublingual B Complex Vtamin Drops, it helps cut down on the horrible taste of the feverfew. I have had better results with feverfew tincture than any other migraine preparation, prescription or natural. I strongly suggest you always have it on you if you are a migraine sufferer because once the nausea sets in, it is hard to keep under your tongue for very long and almost impossible to swallow. Thank you for your suggestions! I’ve suffered from migraines ever since I was involved in an auto accident in 1980. They weren’t as bad then as they are now, over the years the doctors have found things to control them temporarily. I was even told that stress was a big trigger, which I worked really hard to control and did. But then in 2008, I was in 2 MVA’s in the space of 4 mos, and since the second one, my migraines have gotten increasingly worse. I sometimes spend days in bed with them. I’ve been doing the most recent Botox treatments which started to help some, but even now they’re not seeming to work. I’d rather go the natural way, which is why I’m looking into starting up with butterbur, but will start working on this tincture along with your suggestions. Thank you again! When you use these oils, do you apply topically or ingest? the website only says to apply to skin… if so, do you just put it on your head? I use feverfew and lavender buds extracted together in 100 pr vodka but only a few drops at a time! I doubt this recipe, even made by folklore method, is designed for my sort of migraine attacks, which last 3-5 days at a time. Really, migraine is a genetic brain disorder. If this tincture helps, wonderful! If it doesn’t, don’t feel bad. No acute migraine attack of mine would respond to this tincture. Actually, I have tried this combination (it’s an old treatment – several hundred years old). It would be worth trying as a preventive (feverfew’s active ingredient parthenolide has been studied and found helpful for some people for prevention). Mainly if it doesn’t help after about 2 months of use, a doctor would be the route to take. Note things that trigger you, religiously avoid them, and consider a heart-to-heart with your lifestyle. Many migraine triggers are lifestyle components. That doesn’t make people happy to hear. Some things like menstruation can’t be helped. But lifestyle improvements can really make a difference in migraine and headache disorders. I get Migraines when the weather shifts to an in-comming storm. It would be nice to not get migraines anymore. I have gotten rid of food triggers including any form of booze. So this doesn’t work for me. Most migraines are not a genetic brain disorder. Very few in fact are genetic. Most are auto-immune style attacks. Food allergies, stress, head trauma, etc. are much more common. The key to fighting them is to figure out your triggers. Then heat/cold/herbs/meditation can be applied to fight specific causes. Massage works for some, especially in trauma or stress triggers. Caffeine at onset works for those whose migraine is onset by blood flow issues. A caution however the vasco-dialation (dilation of veins) only works at the earliest onset. After that it may worsen the problem. I’ve found most herbal treatment work best as preventative measures. Migraine is not a genetic brain disorder. I am 47 and no one in my family, except my twin sister and I suffer from migraines and she doesn’t get them as bad or as frequently as I do. I saw doctors for years for my headaches (I’ve suffered from headaches/migraines since I was a teen) before finally finding out caffeine is a trigger for me. Even after eliminating caffeine, I still get headaches regularly, just not as many. Unfortunately, they run in my family. I’ve been taking feverfew and magnesium and it makes a difference. I heard about using lemon balm just recently and am eager to try it. If I can get my headaches down to just one day a month, I’d be ecstatic! I clicked on the etsy link and do not see how to purchase this. Do you have any more for sale, Andrea? I am allergic to vodka and cannot find vegetable glycerin so what now? You do not have to use vodka. Any 100 proof alcohol, or glycerin should work. Vodka is usually made with grains, so may be a gluten problem. They do make potato vodka. You should be able to buy glycerin in a pharmacy or health food store, or try this link. Two potato based vodkas sold in the US are Luksusowa and one by Chopin (careful, Chopin also makes a grain based one). As a life long migraineur, I’ve found that the grain based contribute to headaches, the potato ones are fine, but no more than 1.5 oz per day. what about a tincture to get rid of a tremor? I appreciate the recipe but I do believe it is important to try to find underlying cause of the pain. Through great testing and diagnosis by my naturopath doc, I eliminated all wheat and most gluten and have been migraine free after 30 years of suffering. Will make the tincture nonetheless. Yes gluten is often the cause of severe headaches according to “Grain Brain”, a book by Dr. David Perlmutter. I highly recommend reading it. I love lemon balm. A couple of years ago when i was learning how to make wine I read an old herb wine recipe and wanting to try it and only having lemon balm around I decided to try it wit that… OMGoodness… it was very good, tasted like mimosas…. come to think of it I didn’t have any migraines around that time either. Bach’s floral remedies had one called Rescue Remedy.It took me through all childbearing and menopausal migranes. Betty, my brother is doing an alternative treatment for cancer. It’s all natural and is called Protocel. He’s been on it 6 months now and goes for another scan next week. He feels wonderful!! If he had done chemo like the MD’s wanted….he’d either be dead now or sick in a bed. He walks 4+ miles a day and is loving live. Thank God for the all natural treatment Protocel!! Do you have anything for inflammation? I’ve got a condition called Polymyalgia, which is inflammation in the muscles and is very painful. I don’t want to take prednisone(the drug of choice for polymyalgia) so I’d be very interested in anything for inflammation. I am taking serrapeptase now and it is helping a little, but am willing to try other alternative treatment too. I don’t have any lemon balm, but have lots of lemon grass, can I substitute? No, completely different plant and actions. I will be making this once I get some lemon balm growing :0)!! TY for the recipe!! can I use DRIED lemon balm for this tincture? If you’re taking 1/4-1/2 a teaspoon of -100 PROOF ALCOHOL- every 30 minutes, surely your migraine will be gone in no time. I don’t get this at all. Then dont reply and move on! Why not try drinking more water. Did you know the most common cause of headaches is dehydration? Im sorry but you may need to do more research because your only speaking of a common headache. There are 5 types of headaches and a Tension headache like shes talking about above and a migraine are two types. This recipe she has made above is to treat those. If you only have a common headache, yes try downing a bunch of water and get some rest, but when you have a history of migraines, then trust me, water will only make you throw up! My headache would go away too if I drank Vodka !!!!!!!!!! You should read up on the properties and cautions about these individual herbs before taking the tonic. 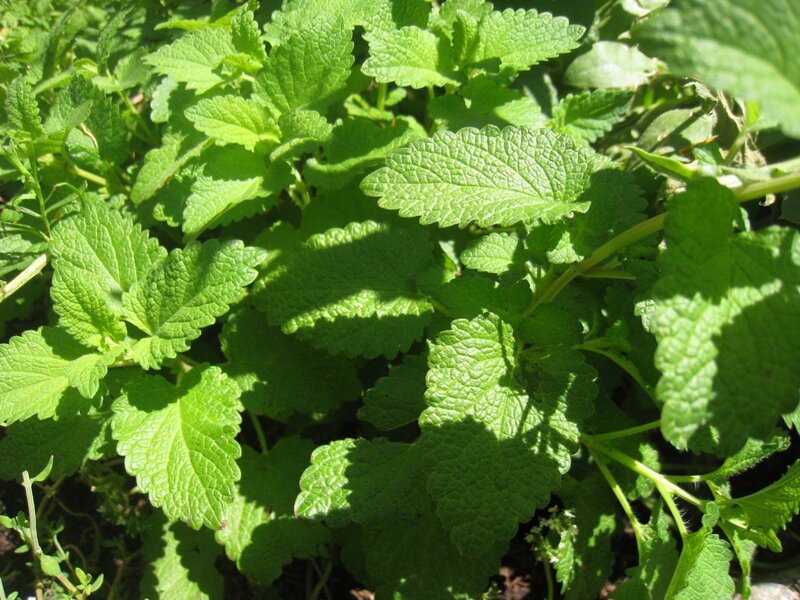 I used to have problems with lemon balm and excessive bleeding (menopause cured it, thankfully! ), so be careful if you have heavy periods, von Willebrandt’s disease or are on blood thinners or some similar caution. Also, some people get hayfever-type allergic reactions to feverfew. 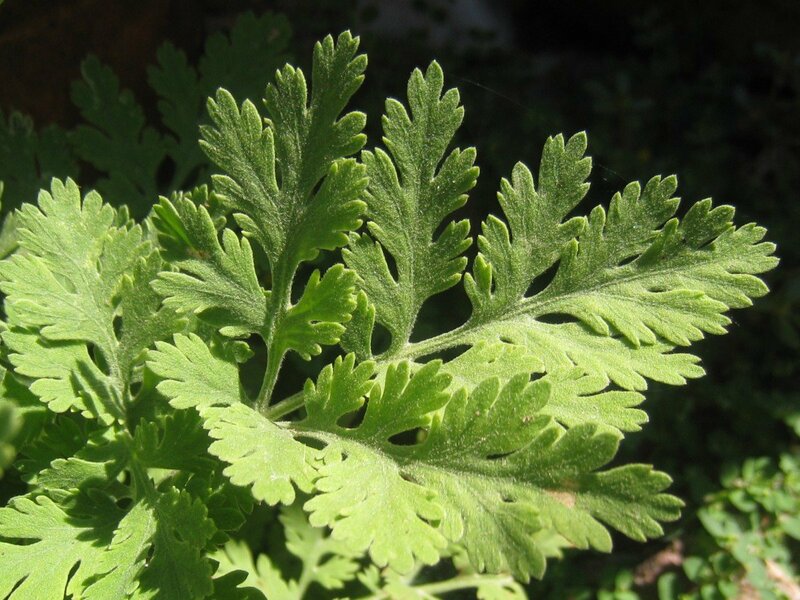 addition: Feverfew is a member of the ragweed family, hence the allergy problems. I knew feverfew was good for migraine relief for your recipe is genius! Is there something else you can use instead of feverfew-I react to it, it makes me break out in hives. Thank you very much. I think I may try this but I have to check my allergy list first because I think I recall ragweed being on it. I may try it anyway and even if I do react, I will just give it to someone. Also, the reaction may be the lesser of two evils. Seven years ago, at age 40, I had my miracle baby and have not experienced migrains since. All of a sudden seven years later, this past week, a three day migraine. I use to take zomig when I got them and it was a wonder drug when I finally got it. It would releive my migrain within the hour. I took amatryptaline (spelled wrong) daily to try and reduce the occurrances but it never did. Anyway, I got off all that medicine when I had my daughter and have felt blessed for seven years. Now I am afraid they have come back to haunt me again. I don’t want to go back to all that medicine again. Why would you be reluctant to take Zomig, which is like a wonder drug for migraines? I use the chewable form and if I catch it fast enough it can stop a migraine in 30 minutes! Maxalt is good too. I have horrible migraines; nothing else does any good. I am so grateful a scientist invented Zomig! I find it easiest to simply pinch off a feverfew leaf about the size of the last joint of my thumb add to a teaspoon of honey, chew well & swallow. Works quick for migraine. Will have to try fresh lemon thyme tea next time – it’s my favorite herbal tea. I was wondering if it is possible to add a mint simple syrup to this recipe? I have made all my mint into a simple syrup (because it was unruly and i didn’t know what else to do with such a big quantity) Would it change the quality of the tincture. I also don’t have feverfew can i do it without with similar benefits. And last question – I only had a larger mason jar. Will the extra space in the jar affect the outcome of the product? where can I get cheesecloth? This is my first tincture to make and I just finished it today. However, it smells horrible!!!!!! The closes smell that comes to mind is like Fishy water! Is it suppose to smell like this? I made it with 100 proof Vodka and it has been sitting for 30 days. I just want to make sure it’s suppose to smell this way or did I mess something up? Hi, My daughter suffers from miraine headaches and finds Solgar Magnesiun Citrate High Potency Tablets works wonders. She takes one tablef per day as a preventative measure and another if she has a migraine (never as severe as they used to be). I adore feverfew and valerian root, but if I wake up with a migraine and nauseous I crave salted lemons and honey, cinnamon, and lemon tea. Very odd lol. I make homemade blueberry wine. Could I use this instead of vodka? Sorry, but i don’t know which unit of measurement is “proof” in Italian 🙁 Can someone explain? Diana, it is how they measure the strength of liquor in US, I don’t know how they do where you live but maybe you could find a translation online? I have this sitting on my windowsill now, but have a question. Most herbal tincture recipes say to put in a cool dark place. What, if any difference does it make if it is cool and dark or on a sunny windowsill. I’m new at all this and am trying to learn. You put it on a window sill to let it “brew.” It is when it is all complete that you put it on a cool dark place for storage. Thank you for this recipe! This is a miracle cure beyond wonders. Not only does it help with my headaches when nothing else will touch them but it also helps with all pain, muscle spasms, aches, my mom is on prescription narcotics for pain and one day while over at my house I had her try some, she said it helped more for her pain the dilauded. I am going to try this, since nothing else helps my migraines. I have tried narcotics, am allergic to triptans, and even tried Botox a few times. I hope this will do the trick. Will have to get the dried herbs as I live in an apt. and have no garden. This really made me laugh ~ I think almost anything soaked in 100% vodka will either heal you or kill you! 😉 This is ‘supposed to’ be healthy? Some herbs and/or roots require alcohol as the solvent to extract the beneficial compounds they contain. Some are easily extracted in water and/or a glycerin and water blend. I would much rather make my own with vodka or Everclear than to buy an extract that has been extracted with hexane or hydrocarbon solvents. Of course, you should only be consuming a certain number of drops at a given time, between 1 and 3 times per day, not drinking a glass full. Just wondering: did you get the fresh and dried amounts mixed up? Usually, you need more of the dried since it has had the moisture removed, and less of the fresh because it is, well, fresh. I would think that it should be 2 oz fresh or 4 oz dried …but maybe I’m wrong. I suffered from migraines for years. I lost my medical insurance and had to just deal with them for years more. I started taking fish oil for another problem and within 3 days, I had no more migraines. I am starting my own medicinal garden garden and will definitely give this recipe a try for any possible future flare ups. For those with nausea issues, I recommend a ginger or peppermint tea. Even breathing the steam can help settle my stomach. For those of you who do not like the tincture/extract method with alcohol there are a couple suggestions that you can try. I use Grain Alcohol or known to some as Everclear. It is 180 proof. You can use this alone or in conjunction with Vodka. Cover your herbs with it like the method suggested above. When it’s strained and ready for use. Put a couple tablespoons of really hot water into a glass and then add your appropriate extract amount to it. The hot water will evaporate the alcohol and within 10 minutes you can drink it. Similar to cooking with alcohol. You burn off the alcohol causing effects with a little heat. For people who would rather make this extract/tincture with Glycerin you need to put your herbs in a glass or stainless vessel and cover with glycerin. Put this into another larger pot with a couple inches of water in it and heat double boiler style for several hours. Then strain, cool and bottle in dark glass. Glycerin is a solvent but not great without the addition of heat and some herbs actually require alcohol to extract the beneficial properties. You can also do the heat method as mentioned above with glycerin but instead, replace it with a food grade quality carrier oil which can then be applied topically or internally. Can you please add a print button? I have a hard time to see and having good info or recipes on paper makes it much easier for me. This is the 2nd great article I see of your, but no print button. Please make your website printer friendly. Thanks! Lemon Balm is fantastic! 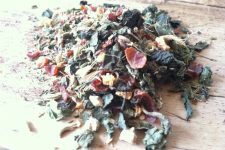 I buy a tea from Traditional Medicinals on Vitacost and it is a combination of Lemon Balm, Hawthorne and Linden Flower. Linden Leaf and Flower and Wood Betony are two other herbs I use regularly that work very well for me. I have had migraines for over 25 years and have tried practically every remedy out there. Did not have much success with feverfew but that is because you really need to take that for quite a while, regularly, before you see any results. I don’t want to take something every day. I just want something to work when I feel a bad migraine or headache coming on. Do some research on Linden Flower and Wood Betony. I buy both of these herbs, as well as numerous others, from Mountain Rose Herbs. If you prefer an extract, you can find both of them on Vitacost. Feverfew is most effective fresh (one leaf a day), and even then -as a preventative, not much help if pain is on the way. It also takes a few months to build up, where it prevents migraines. I made my tincture before I knew that…Anyway, stuff, what helped me personally the most was wood betony tincture and 500-600mg magnesium malate or magnesium glycinate.These forms of magnesium seem to absorbed better, but they still give me a bit rumbly tummy. Magnesium and wood betony for me can stop the attack. Other herbs, that work well are scullcap, wild lettuce, chanca piedra, california poppy and some others, so I might make a tincture with several of them. One question though, I have been searching for remedies that do not include the chemicals of western medicine, but all of the herbal remedies I find say “not suitable for pregnant/ nursing” Is this true?!? Surly these are better than say imitrex…??? Please help! Just because something is an actual herb does not mean it is without side effects. There are numerous herbs that are not safe for pregnant women to take. It’s not about the woman, its about the fetus. If you are pregnant you need to talk to someone degreed in the use of herbs to find out what would be best. It’s not just pregnant women who need to be cautious with herbs. Anyone who has a serious health condition that takes traditional medication should never take an herbal supplement without consulting a holistic professional who has knowledge of herbs. It is frustrating, I know because I have had migraines for over 25 years and when you have one, you just want relief without having to take traditional medicine. I would also add that it is essential for pregnant women to abstain from ALL alcohol. It is not known how little alcohol it takes to harm the baby. The brain starts forming very early on, even before you are aware you are pregnant. The Health Dept advises all sexually active women to forgo any alcohol. As the adoptive mother to three children with Fetal Alcohol Syndrome, I can tell you of the heartbreak it causes. Thank you for this recipe. Despite an allergy to ragweed, and prior attempts to use feverfew to treat/try to prevent my migraines, I’m going to try again. I currently use a beta blocker for prevention (it’s amazing how well it works! ), and Zomig for treatment. I also watch my diet (celiac disease too) and take 100 mg of all B vitamins and magnesium daily. These things have helped immensely and for that I’m thankful. If someone could do something about the weather changes…lol. Please don’t put peppermint in anything unless you KNOW the person you are making the tinture for actually likes mint. I loathe it and just the smell of it would exacerbate my migraine nausea tremendously. Maybe mix the tinture doses in apple juice ( a BRAT food) or honey lemon tea or ANYTHING but mint. Please. Potatoes are a member of the nightshade family, so a potato-based vodka might be a problem for some folks too. The question is, is there any gluten or any allergen (potatoes, corn, barley, rye, etc.) causing properties left in the vodka after distillation? How would I find the answer to this question? Would brandy or everclear or other high proof alcohol work as well?